Raymond “Ray” L. Trompke, 72 of Loup City, NE died Tuesday, July 31, 2018 at Rose Lane Home in Loup City. Mass of Christian Burial will be held 10:30 a.m. Friday, August 3, 2018 at St. Josaphat’s Catholic Church in Loup City. Celebrating the Mass will be Father Richard Piontkowski. Burial will be held at the Evergreen Cemetery in Loup City with military honors by the Loup City American Legion Post #48. Visitation will be from 5:00 p.m. to 7:00 p.m. Thursday, August 2, 2018 at St. Josaphat’s Catholic Church with a Knights of Columbus Rosary to be held at 7:00 p.m. at the church. Memorials are suggested to St. Jude’s Children’s Hospital or donor’s choice. Raymond Louis Trompke was born February 17, 1946 at Loup City, NE to Raymond and Isabelle Florence (Roy) Trompke. He grew up and attended school through the 8th grade at District 14 and graduated from Loup City High School in 1964. After graduation he attended school at the Denver Automotive School. Following school, he worked for Garnet Thompson from September, 1965 through December of 1965. On December 27, 1965 he entered the United States Army and served in the Vietnam War from July, 1966 to February, 1968. In Vietnam, he served with the First Infantry as a Combat Engineer. At Fort Hood, TX he was assigned as a MP (Military Police). He was honorably discharged from the Army on October 1, 1968. He married Susan Bass on June 8, 1968. On May 17, 1975 he married Donna Kuehl at St. Paul, NE. He farmed with his Dad from 1969 to 1987. Ray was employed part-time by several small-town police departments. He attended the Nebraska Law Enforcement Academy in 1999 to become a fully certified officer and was the oldest in his class. He then was employed by the City of Loup City as a police officer. Ray was the last Chief of Police for Loup City before it went interlocal with Sherman County in 2000. Following the interlocal agreement he became a deputy for Sherman County. He retired from his law enforcement career after 31 years of service in 2011. He particularly enjoyed teaching DARE classes to the Loup City and Litchfield 5th grade students. 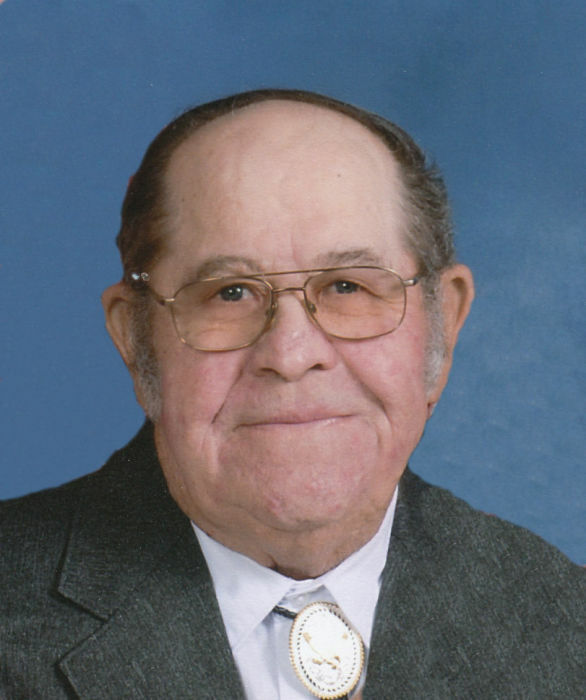 Ray was a member of St. Josaphat’s Catholic Church, Knights of Columbus, Loup City American Legion Post #48 and the Sherman County Historical Society. He enjoyed spending time with his grandkids. Ray was known as usually having a joke or two to share. Ray is survived by his wife, Donna of Loup City, NE; sons, Dale Trompke of Loup City; Tim (Teresa) Trompke of Holdrege, NE; and Chris (Jamie) Trompke of Loup City; daughter, Vicki (Tim) Sherman of Coldwater MI; eight grandchildren, Kevin, Jr., Samantha, Jakob, Katie, Tiffany, James, Wyatt and Mackenzie; 2 great grandchildren, Trinity and Ashton and sister, Imogene (Jim) Turek of Wood River, NE. He was preceded in death by his parents.